A survey taken a year ago in 2013 by the Pew Research Center, found out that 11 per cent of all the Internet users (or some nine percent of all American adults) told the researchers that they personally used an online dating site at least once and it is rather a high increase compared to the year of 2008, when only three per cent of American adults had used men or women online dating websites. This survey also found that about sixty-six per cent of those people who use either online dating websites or applications have gone on a date with people they met on the web. And twenty-three per cent (almost one fourth) of the online people who have dated online either then married or began a long-term commitment with the person they met via a dating site or dating app. Another separate study conducted last year by the group of researchers from the University of Chicago helped to find out that more than one-third of all marriages in the USA within the period between 2005 and 2012 started from dating online, and all those couples are even slightly happier than couples who met at more traditional places in the real world. Hacking the formula of love? But is it possible to make your search successful in all the cases in order to have all the chances of finding your lifetime partner? 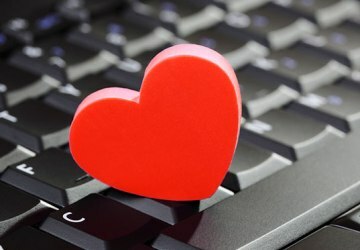 Well, while some algorithmic methods for finding true love are still in doubt, one case suggests that it may actually be possible to tweak or even hack some of those hidden matchmaking formulas to optimize your search results. A man called Christopher McKinlay, during his study for a PhD degree in mathematics, literally “scraped” information from the profiles of about 20,000 (!) women at one of the most popular today’s dating websites in order to find out what on Earth would help to catch female interest, and achieved significant increase of his matches and the total number of responses from different women he received at the site. McKinlay even succeeded in finding his own match, a woman who became his fiancée, and later on published his own e-book, called “Optimal Cupid: Mastering the Hidden Logic of OKCupid”. As we can see now, although the science of love is debated, more and more people today are successfully turning to online dating sites and mobile dating apps to help them look for and find available candidates for relationships and even marriage.